Bacteria can live in your mouth in the form of plaque, causing cavities and gingivitis, which can lead to periodontal (gum) disease. In order to keep your mouth clean, you must practice good oral hygiene every day. So lets get started. Plaque is a sticky layer of material containing bacteria that accumulates on teeth, including where toothbrushes can’t reach. Many of the foods you eat cause the bacteria in your mouth to produce acids. Sugary foods are obvious sources of plaque, but there are others that you might not realize can cause harm. Starches—such as bread, crackers, and cereal—also cause acids to form. The best way to remove plaque is by brushing and cleaning between your teeth every day. Brushing removes plaque from the tooth surfaces. Brush your teeth twice per day with a soft-bristled brush. The size and shape of your toothbrush should fit your mouth and allow you to reach all areas easily. Use an antimicrobial toothpaste containing fluoride, which helps protect your teeth from decay. Clean between the teeth once a day with floss or interdental cleaners to remove plaque from between the teeth, where the toothbrush can’t reach. 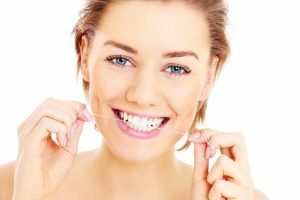 Flossing is essential to prevent gum disease. Remember- Floss the teeth you want to keep. 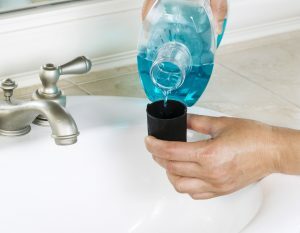 A mouth rinse, in addition to daily brushing and flossing, can increase the cleanliness of your mouth. Antimicrobial mouth rinses reduce bacteria and plaque activity, which cause gingivitis and gum disease. Fluoride mouth rinses also help reduce and prevent tooth decay. 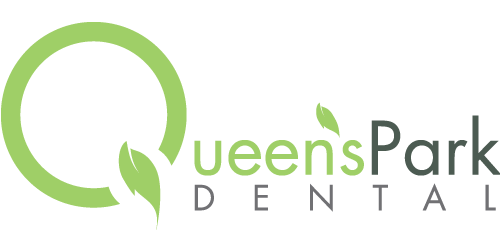 Always talk to us at Queen’s Park Dental about any new products you are interested in trying. Not everyone should use a fluoride mouth rinse. For instance, fluoride rinses are not recommended for children ages 6 or younger because they may swallow them. Always check the manufacturer’s label for precautions and age recommendations and talk to Dr Darcy Murphy or Dr Salima Shivji about the use of fluoride mouth rinse.